The clock is ticking on the food and supplement labels we’ve known for decades. After countless delays and rule changes, the deadline for new and improved food labels is finally set. Most manufacturers now have less than a year to adopt the U.S. Food and Drug Administration’s new labeling guidelines. Large companies have until January 2020 to adopt the new standards, while smaller manufacturers have until 2021. While January 2020 might seem like eons away, there's so much manufacturers need to do to satisfy the new requirements to ensure that only products with compliant labels are on the shelves in time. Request updated specification sheets from suppliers. Gather nutrient information for newly mandated nutrients and dietary fiber definitions. Convert nutrient values with any units that have changed. Check Reference Amounts Customarily Consumed (RACC) and servicing size. Verify content claims and package size. And at every step along the way, companies must document, document, DOCUMENT! Consumers want greater visibility into the products they buy. But the pace of life today means those same consumers have less time than ever to study those labels and make a smart buying decision. It’s a dichotomy that’s made food and supplement labeling a much more complex proposition for both regulators and manufacturers. Amended the definition of a single-serving container. Required that labeling for certain packages include an additional column of nutrition information regarding the contents of the entire package. Required that labeling for products in discrete units of certain sizes include an additional column of nutrition information regarding the contents of the entire unit. Allowed manufacturers to voluntarily provide an additional column of nutrition information for single-serving containers of certain sizes that reflects the nutrition information per common household measurement that most closely approximates the reference amount customarily consumed. Amended a preexisting provision to allow manufacturers to voluntarily provide an additional column of nutrition information that reflects the nutrition information per unit, regardless of whether the product is a single-serving container or contains multiple servings. Amended the requirements for RACCs used by manufacturers to determine label serving size. Once largely ignored, labels have become extremely important to brand manufacturers. Take Bud Light, for example, which became the first major beer to feature a nutrition label on its packaging earlier this month, including information on serving size, calories, total fat, saturated fat, trans fat, carbohydrates, sugars and protein. Beer, regulated by the Alcohol and Tobacco Tax and Trade Bureau, isn’t subject to the FDA’s new labeling guidance. The facts appear to show that improved food labeling has made a difference. A Tufts University survey found that food labels cut consumer calorie intake by 6.6 percent, fat consumption by 10.6 percent, and influenced consumers to avoid unhealthy foods altogether by 13 percent. Researchers also found that food labels boost average vegetable consumption by 13.5 percent. 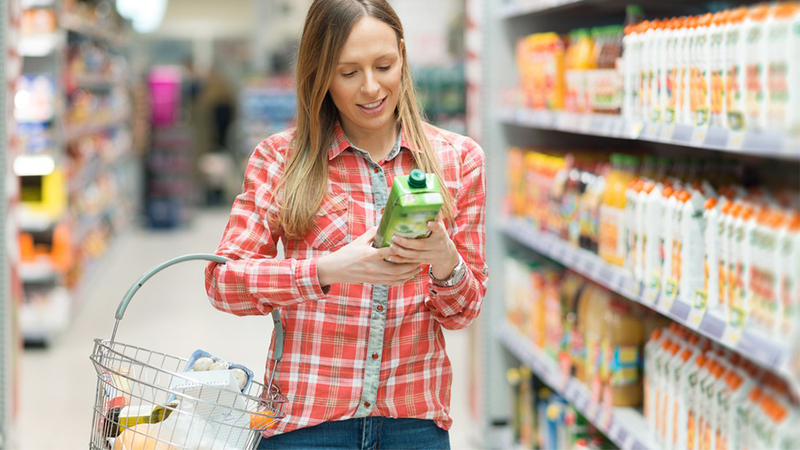 Similarly, a 2018 Food Marketing Institute study revealed that, given the choice, three-quarters of shoppers will pick a brand with a more detailed product label. Food and supplement companies are increasingly embracing the notion that clean labeling and transparent manufacturing practices are more than just compliance requirements. It’s simply good business and can make for a compelling marketing narrative. Manufacturers, both large and small need to start moving now to meet the FDA’s deadlines. TraceGains can help. We've teamed up with ESHA Research to provide shared customers DataLink. This solution gives customers running both TraceGains and Genesis the ability to update supplier ingredient data without having to manually enter amounts by item. See what TraceGains can do for you, request a demo.